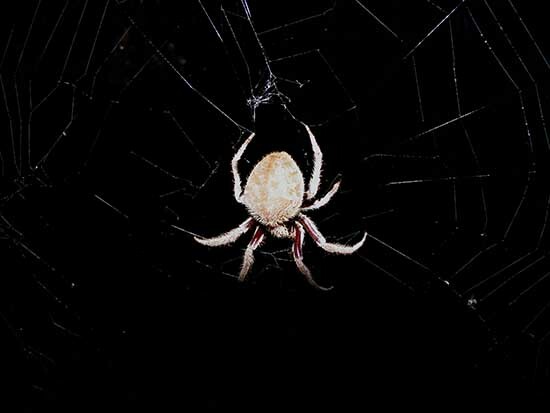 These spiders make complex circular webs of very sticky silk. 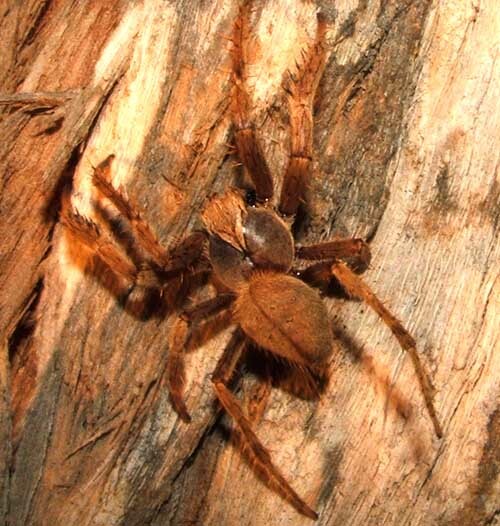 They hang in the middle of their webs at night and hide among foliage or bark at night. Their webs are the ones hikers and gardeners run into in the dusk because it is dusk when they rebuild them after a day of hiding in a nearby shelter. 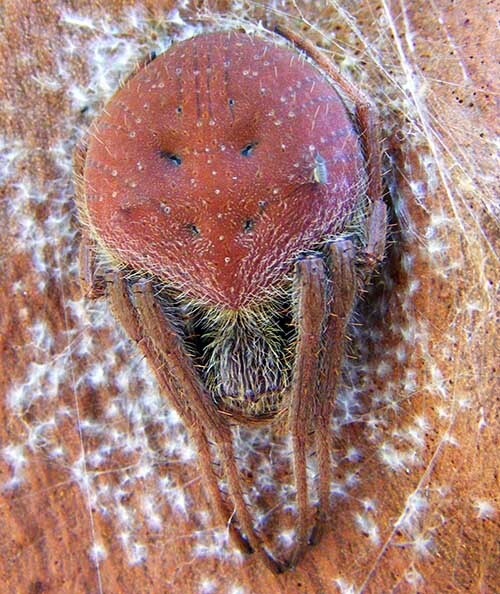 The photograph above is of one of those spiders hanging across a trail in the bush. She is very large and heavy but will do anything she can to avoid running into us. When disturbed she will often drop to the ground and hide her head in leaf litter.